Rawson Tree Pruning: Expert Service from Start to Finish! Tree pruning is a hassle, and it can be dangerous for the amateur. There are a bunch of “pros” out there, but who can you trust to do the job right? And what does “doing the job right” even mean? Well, there’s one tree service that treats you right; who educates you on the process, and gets the job done efficiently and safely: Rawson Tree Services. Rawson Tree Services will meet with you, listen to your request and your concerns, and then we begin to educate. Let’s say it’s a tree pruning job; we want you to know the proper way, the RIGHT way to do it. Because, frankly, there’s a lot of sub-par tree pruning going on in the marketplace! For instance, “lion tailing.” That’s when someone trims away too much interior wood, creating a big pile of debris on the ground – so it looks like they have been busy. It leaves you with a puffball on the end of a naked branch – like a lion’s tail. The tree looks the same to you, but inside it’s weak. And that puffball will catch a strong gust in your next Charleston tropical storm, and break that weakened branch. So, Rawson Tree Services walks the property, looking for hazards – dead branches, cavities, any kind of diseases present. Are there any fruiting bodies on the tree that might be a hazard? Are there danger spots, branches that might hit the house or drop on somebody’s head on your front walk? And so on. We encourage the homeowner to ask questions and take notes. And don’t just take our word for it – Google it! That commitment to educating the client is part of what you get when you hire a Certified Arborist. Someone constantly keeping current with the latest tree diseases, pests, and safety procedures. We want you to know the standard of quality – and that’s how you can judge our work! On the day of the service, a Rawson Tree Services crew shows up at your house, most often led by Randy Rawson himself. It’s a clean-cut crew, and you’ll notice all the safety gear. Safety is critical, for our guys AND your home. That’s why Rawson carries Workers Comp and liability insurance. 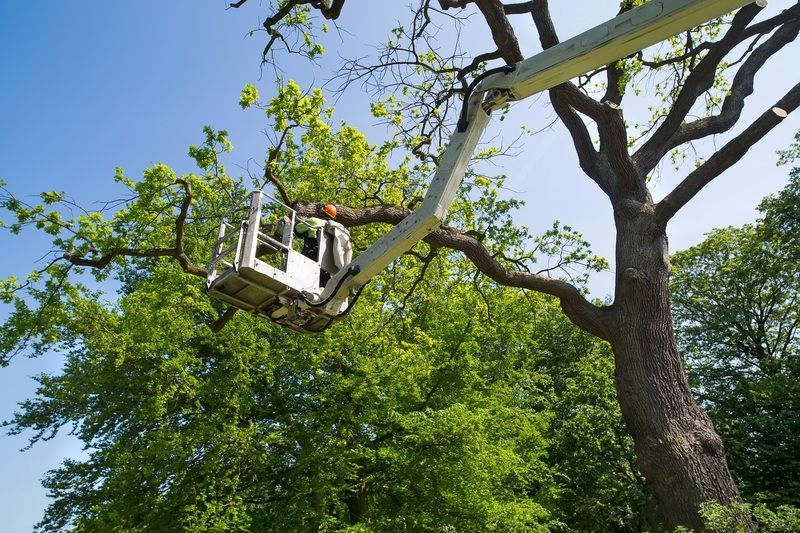 So, Rawson Tree Services prunes your trees efficiently, thoroughly, and as quickly as safety allows. We clean up completely and leave your yard looking sharp. And our follow-up is impeccable; any concerns, pick up the phone! From the initial phone call to follow-up, you won’t find a more committed crew in Charleston SC than Rawson Tree Services. Skilled, safe and service-minded, give Rawson a call today!